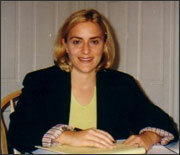 Marisa DeFranco is recognized expert in immigration and national security. A National Award winning immigration attorney with 20 years of experience, DeFranco has received both national and state awards for her work. In October 2011, she was honored as a Top Woman of Law by Massachusetts Lawyers Weekly. In October 2010, the National Legal Aid & Defenders Association awarded her the Beacon of Justice Award for her Pro Bono Service. DeFranco was one of only 34 Award Winners Nationwide. DeFranco Law is a highly specialized firm in complex areas of immigration and national security law, focusing exclusively on business immigration and investor visas. DeFranco Law represents a wide range of industries, from small businesses to Fortune 500, including healthcare, IT, biotechnology, construction, and entrepreneurs. DeFranco was a candidate for U.S. Senate in 2012 and for U.S. Congress in 2014. In both elections, she was the only clean-money, grassroots candidate. Attorney DeFranco frequently appears in the media including as a political analyst and immigration and security expert on CBS Nightside with Dan Rea, CBS TV with Jon Keller, and Boston Herald radio. DeFranco is a published opinion writer. She is currently a Guest Columnist for The Lowell Sun, and she has previously been published in other New England newspapers. Including: L-1, E-2, O-1, Employment-Based Permanent Resident petitions, National Interest Waivers, Entrepreneurs.